Around 1,100 years ago a group of Viking settlers from Scandinavia arrived somewhere between Þorsteinnstún (Thurstaston) and Melar (Meols) on the shores of north Wirral – a small peninsula lying between the Rivers Dee and Mersey – having been driven out of Ireland. This initiated a mass migration of their fellow countrymen into the area and soon they had established a community with a clearly defined border, its own leader, its own language, a trading port, and at its centre a place of assembly or government – the Thing at Þingvöllr (Thingwall). This community was answerable to nobody else: the English, the Welsh, the Dublin Norse, the Isle of Man, Iceland, and not even Norway. The Wirral-Norse settlement therefore satisfied all the criteria of an independent, self-governing Viking state – albeit a mini one! This book, written by Wirral-exile and scientist Steve Harding, is about these people, why they left Scandinavia, where they settled, their religion and their possible pastimes. Wirral was also probably witness to one of the greatest battles in the history of the British Isles – Brunanburh. The third edition of this highly popular book has been updated to incorporate the identification of the mysterious Dingesmere in the Battle, the importance and relation of Wirral to the wider Viking Commonwealth, including the Isle of Man, North Wales, Scotland and Ireland, together with the results from the Wirral and West Lancashire Viking DNA project, where up to 50% of the DNA of men from old Wirral and West Lancashire families appeared to be Scandinavian in origin. 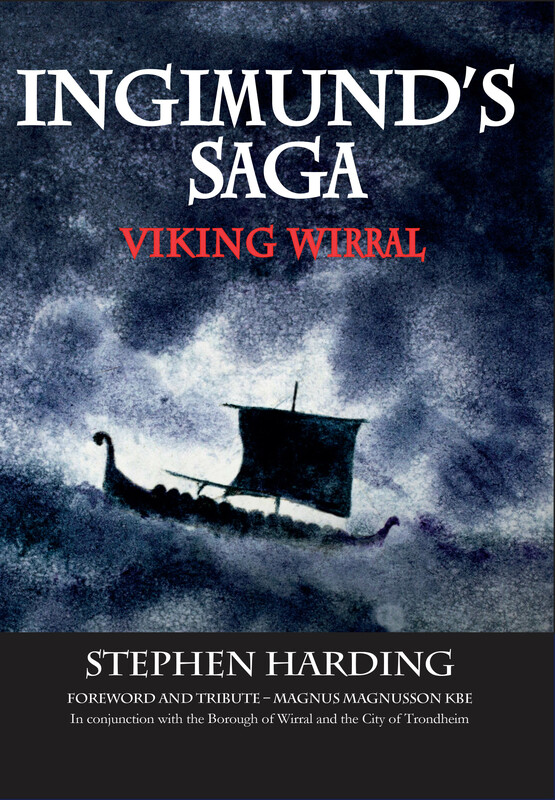 Stephen Harding, Ingimund's Saga: Viking Wirral, 2016, ISBN 978-1-908258-30-4, £15.99. The e-book (ISBN 978-1-908258-44-1) is currently available through Google Play, ebrary, EBL, EBSCO, Ebook Central, Gardners and Dawsonera.